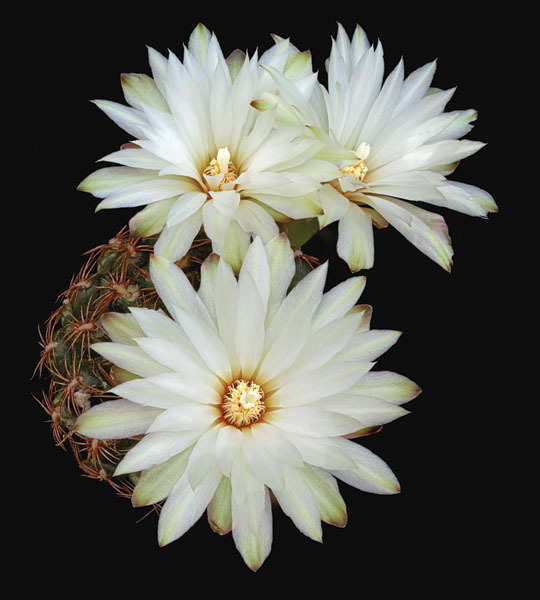 The cacti family produces some of the most gorgeous flowers in the plant world. This beautiful cactus originated in Argentina. With spines that resemble spider legs, these beautiful blooms are somestimes called the Spider Cacti.